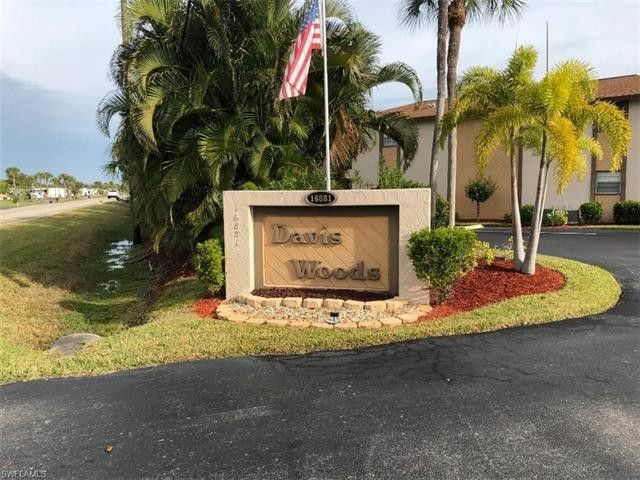 Lovely 2 bed - 2 bath condo in the Davis Woods Condominium Community. Located just 5 minutes from the Sanibel Causeway, and access to the beaches and restaurants of Sanibel, Captiva, and Fort Myers. This is a recently updated unit with new AC in 2018, Also new tile flooring, newly updated bathrooms and woodwork. Enjoy your morning coffee and the wonderful view of the lake and wildlife from your lanai. This 2nd floor corner unit is pristine clean, partially furnished, and ready for quick closing and move in for the upcoming season. Amenities include, community pool, tennis court, shuffleboard, low taxes, water included in the low maintenance fees.Call or text for your private showing today.